 Go to Reports > Logs > Reverse proxy. Note: When running SSL VPNs in TCP mode, the reverse proxy access logs generated for HTTPS requests will contain a source address of 127.0.0.1. This is because OpenVPN has to proxy the HTTPS traffic. 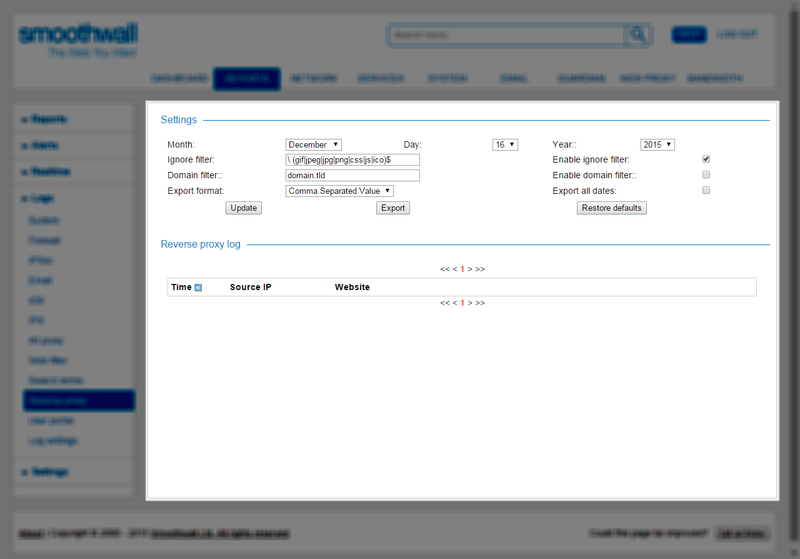 Therefore, from the Smoothwall System’s point of view, the traffic is originating from localhost.